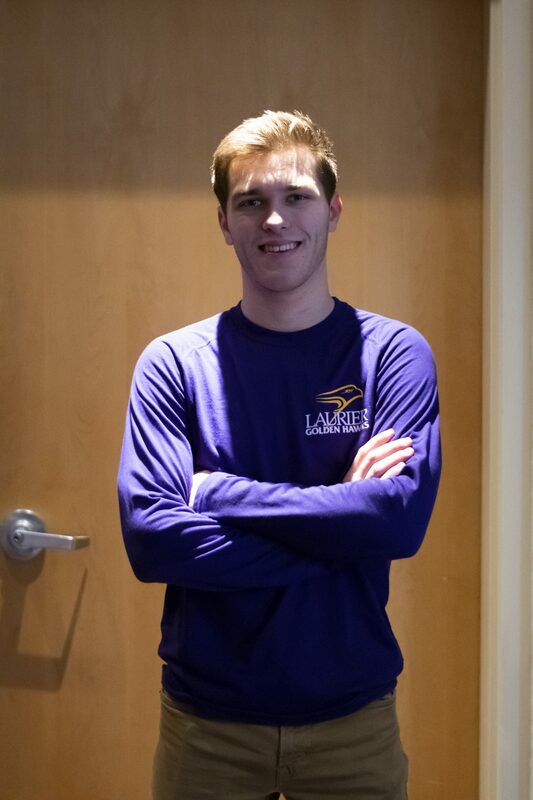 Devon Mundy, second-year environmental and geomatics student at Wilfrid Laurier University and middle-distance runner, has faced one of the biggest challenges in his career so far on and off the track: living with an autoimmune disease. As a competitive runner in high school, Mundy experienced health issues early on in his adolescence when he was 14-years old. Originally diagnosed with enthesitis-related arthritis, he went through a failed series of different medications, none of which provided any relief for his symptoms. Two years ago, Mundy was diagnosed with Crohn’s disease. Commonly difficult to diagnose, Crohn’s is an autoimmune disorder that affects the gastrointestinal tract and causes inflammation that is painful and can be difficult to control — even with the assistance of medicine. For Mundy, athletics are an essential part of disease management and controlling the symptoms that affect him. “Track was huge for me. I always found that when I was more physical, everything was more manageable. Mentally speaking, physically speaking, it was just so much easier,” Mundy said. Mundy was unable to participate in track last year due to a knee injury — and the lack of physical activity he was able to engage in was something that directly impacted his overall well-being. “It really got to me — my illness. I had an acute flare-up for several weeks on end [and] it was just awful. It took a toll on me academically, mentally … and ever since this school year started and I could compete again, it’s been wonderful just being able to get out there,” Mundy said. Since he got back into track, the problems he was experiencing before lessened significantly. “It’s been great for my body, my mind … I’ve just been more in control of my disease,” he said. As he has done with athletics, Mundy has proven that it’s possible to persevere and succeed despite the complications of an illness. Running has had an incredibly positive impact on his health. Mundy has managed to stay optimistic and driven because of the benefits that it provides him. However, being an athlete with an autoimmune disease isn’t without its own set of challenges and setbacks. “Not many people really understand what autoimmune diseases really do to your body — where it’s like the greatest thing you’re ever going to face, is facing yourself. It’s really frustrating when every day could go a little differently. I could go out one day and do amazing,” Mundy said. “It does take some time to recover from everything. You see your teammates, you work just as hard as them, but you’re not making as much progress, you can’t put on as much weight and muscle — and training is different for sure,” he said. Mundy has seen the toll that Crohn’s and other autoimmune diseases can have on different people, and it’s helped push him to stay motivated, even when things can feel disheartening. “It motivates me to [think] I can do this and I should do this because some people can’t and I’d love to do it for them,” Mundy said. Mundy doesn’t want people to pity or feel sorry for him. He just wants to provide a voice for those who may be struggling with similar health issues, especially “invisible” diseases — diseases that are not immediately apparent to other people — and show that they are working just as hard as everyone else. Author: Emily WaitsonEmily is a fourth-year English and History student who loves to complain about the weather and regularly eats too many packaged snack foods in one sitting. She collects more books than she actually reads, gets emotional over adoption notices at animal shelters, and acts a lot cooler than she really is.